Published December 1997. Revised May 2005. 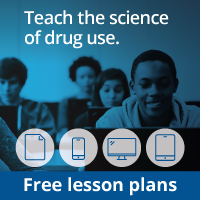 Equips teachers with background information and lesson plans on drug abuse and addiction for use with the booklets in the Mind Over Matter series.